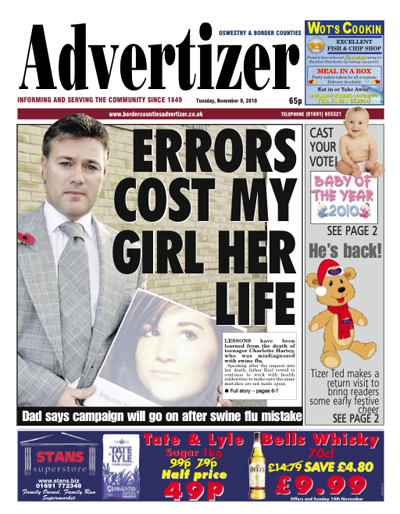 Over the twelve month period from Charlotte's tragic passing to the inquest there has been many interviews given and articles written relating to the circumstances and in particular Swine Flu. We are most grateful for the thorough coverage and support given by all relevant news groups. With regards to the petition, we had approximately 18,000 signatures, which is an amazing amount of support from all, so well done. The petition has allowed us to open the doors to have a series of meetings, which have taken place with a variety of people in Government. The power of social networking allowed us to generate a magnificent amount of support in such a short space of time and gave us the power to open doors and voice our opinions. 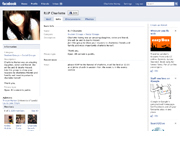 R.I.P Charlotte was set up on facebook to allow all those who knew her to place a few words on the wall. It has since touched the hearts of over 20,000 members, who have kindly written fond words of farewell. If you are a member of facebook and feel you would like to join the petition please click here. The Oswestry Advertiser offered a very comprehensive account of the tragic events. Please download the PDF file to read the accounts.